A1 Overseas International ships to Belgium! Call 1-800-450-5319 or fill out our form for a FREE quote! Transporting a vehicle to another country such as Belgium can be done in more ways than one. A1 Overseas International specializes in getting personal transportation into foreign countries and can offer their customers a couple different methods to do so. Being that Belgium is a country that falls outside of the European Union, shipping a vehicle there can be a longer process. The most difficult part of the auto shipping process is dealing with customs. In order to get your vehicle released from customs, you will need to provide proof of insurance for at least six months prior to import, the bill of sale for the vehicle and the title for the vehicle. Those are just a few documents that customs will require, but A1 Overseas International will be able to inform you of all the other documents that you will need to provide for international auto transport. The shipper must have lived outside of the EU for at least one consecutive year. The cost of importing a vehicle depends on many different factors, but A1 Overseas International will inform you of how to get it done in the most cost effective fashion. The method of shipping that you purchase will also affect the cost of shipping, but the type of shipping greatly depends on the vehicle that is being exported. 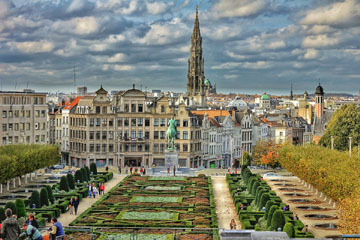 Contact A1 Overseas International to learn what the best method is for you to get your car imported into Belgium. Call 1-800-450-5319 or fill out the form for a FREE price quote on boat, motorcycle and car shipping!